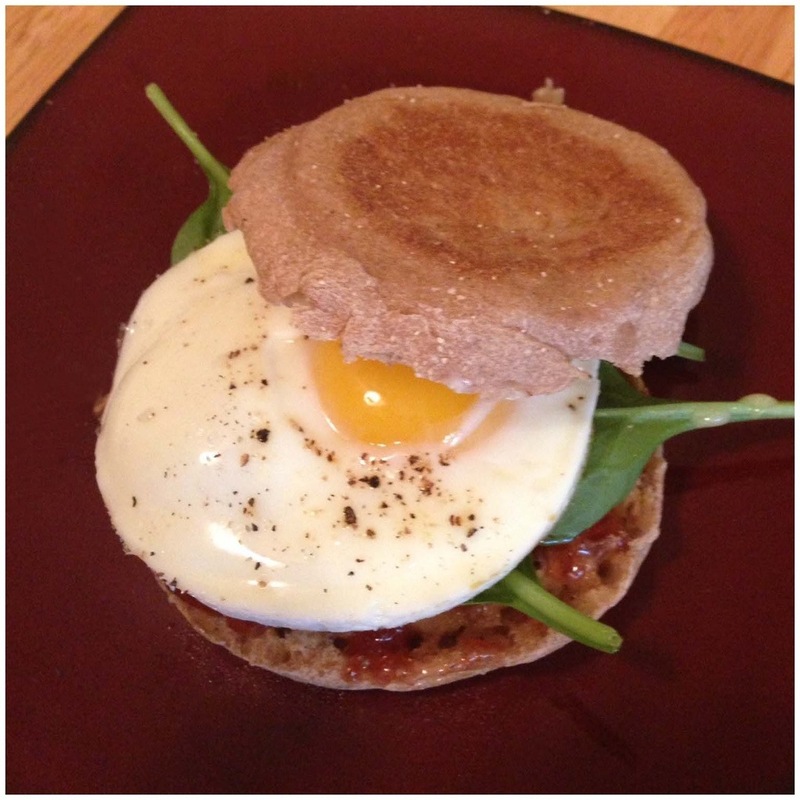 My favorite rendition is a toasted English muffin with strawberry jam and spinach. I know this is weird, but I love it anyway. Hubby puts his egg atop a pile of bacon and cheese. I recently learned how to fry an egg without it getting rubbery. These tips made the difference. Buy a good skillet. This is the first step in pretty much any recipe I talk about, but I can’t stress enough the importance of quality cookware. It’s means you get a whole egg on your plate instead of leaving half of it stuck to the pan. Use medium-high heat. When the burner is too high, the edges get crispy before the rest of the egg is done. I’m not a fan of crunchy eggs. Oil, water and cover. You’ll need a little oil or butter, depending on the type of pan you use. I mist my skillet with olive oil. Once you drop in the egg, add a tablespoons of water and cover. The steam will cook the egg in just a couple of minutes. Here’s a pic of my finished product. I’d love to hear about your quick and easy meals! I had been meaning to cook some egg sandwiches for breakfast every since I saw your tweeted link. Finally got the chance this morning. I scrambled and added salt, pepper, shredded cheese. Delicious.